The Xiaomi Ninebot Segway ES2 Folding Electric Scooter is the higher version of the ES1’s scooter, and in performance it also up a notch delivering more speed and extended range while still being foldable and lightweight. It caters to commuters and recreational riders look for an extra edge. The Xiaomi Ninebot Segway ES2 Scooter accelerate to 15.5 Mph (25 km/h), has front and rear wheel shock absorption and solid tires, which allow for maximum rider comfort. With the help of the customizable ambient lights the vehicle is stylish and visually appealing. The vehicle weighs only 27.5 lbs (12.5 kg) and when folded it can easily be stored in a car or carried on public transport. 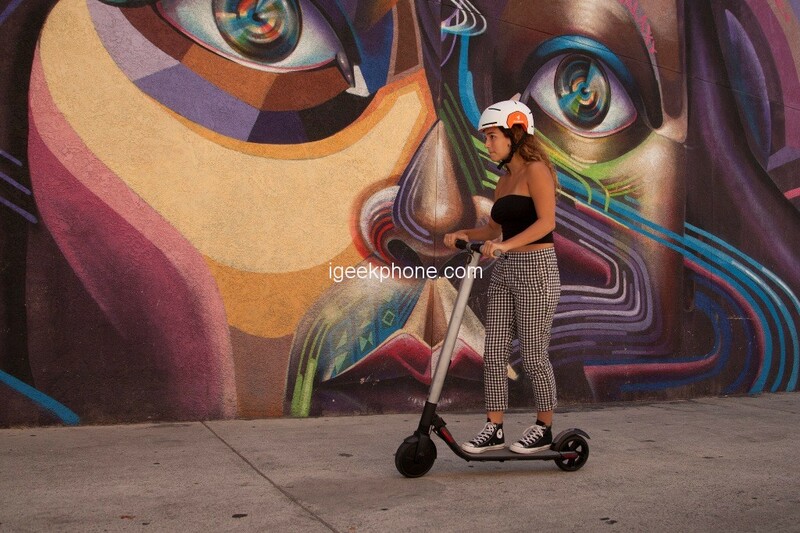 It is the high-end version of the Ninebot ES1 already tested on Gyronews, with a slightly higher top speed and, above all, the addition of a rear wheel suspension that should substantially improve comfort. 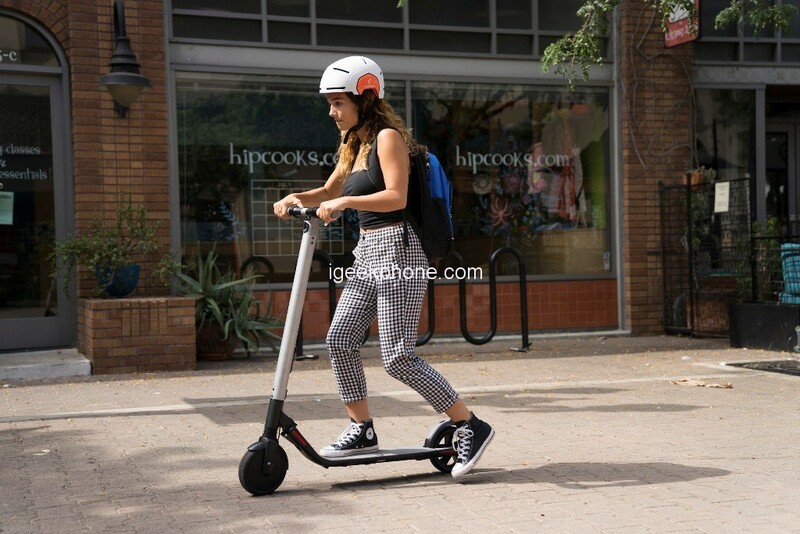 The Xiaomi Ninebot Segway ES2 Scooter is closer to the Xiaomi M365 in terms of approval, while being much more reliable in use: its solid tires and its robust hinge protect it from small worries that are familiar to owners of M365. 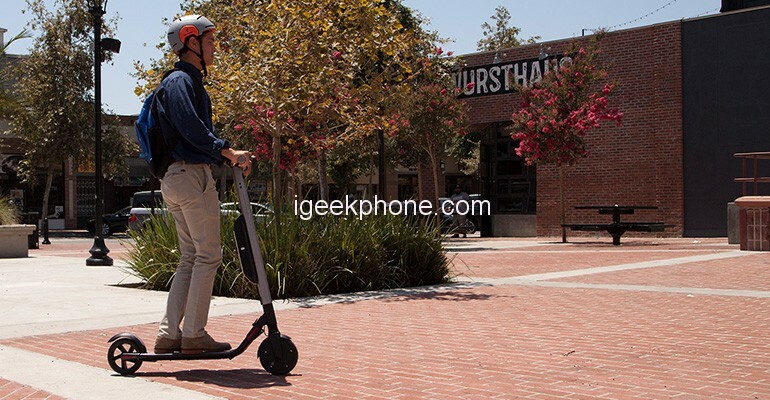 The Xiaomi Ninebot Segway ES2 Scooter provides its user with good speed and a decent distance per charge, enough to handle most one way commutes. The best part this scooter is the ability to purchase a battery-upgrade. An external battery that increases top speed to 18.6 mph and distance 27 miles. 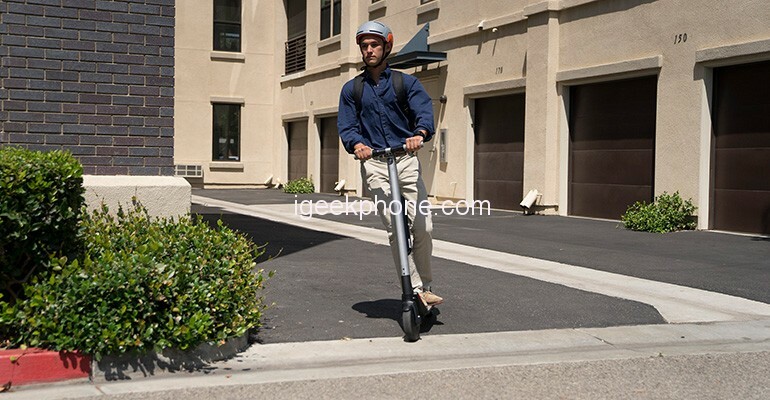 A good initial scooter purchase that gives you the option to upgrade it to a long distance scooter at will.